Looking for the best online Stock broker UK? Or the best Share Dealing account UK? At first, the task can seem daunting and overwhelming, there is a ton of stockbrokers, how do you select one? We can help you with information regarding the best stock brokers as well as a list of the share dealing accounts that we recommend. In other words, this page is your go-to guide when trying to find a stock broker. 1. IG Markets – A Stock Broker who offers share dealing. IG Markets started off as a forex broker and quickly gained momentum in the industry. Since then they have added several more asset classes and today they have one of the largest selection of stocks out of all the CFD brokers we recommend. In addition, IG Markets provides access to the world’s stock exchanges through their Level 2 -platform and that is the number one reason to why they’ve ended up as one of the best online stock brokers in the business. 2. Trade.com – Offers a large amount of shares. Trade.com has lately been one of the most exciting and driven brokers on the market and they have worked hard to develop a product that suits anyone. On top of that, they offer competitive leverage, tight spreads, and other interesting features that make them one of the top brokers. Also, similar to IG Markets, Trade.com has a DMA product that lets you buy stocks and securities directly from the exchange. 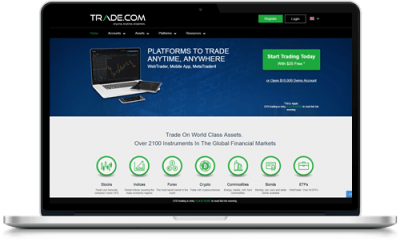 This means that Trade.com can be used for both CFD and regular stock trading. 3. Markets.com – Competes with IG for the top stockbroker spot. 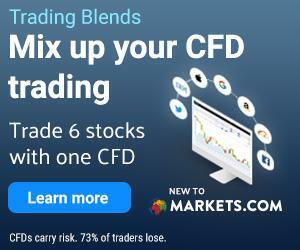 Markets.com is one of the leading CFD brokers with one of the most stable products out there. The selection consists of more than 2,000 assets on all the major markets with a big part being stocks and indices from exchanges around the world. 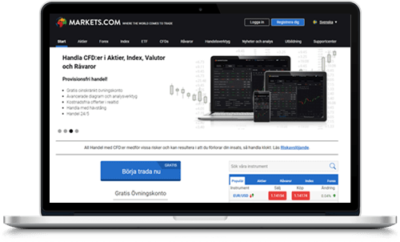 Markets.com is an excellent choice for anyone looking to trade stocks today and remains one of our first-hand choices. 4. AvaTrade – Respected broker in the United Kingdom. This is a great and appreciated broker that you can use to trade stocks as CFD and several other asset classes. AvaTrade has also developed a range of industry-leading trading platforms and stock trading apps that will help take your trading experience to the next level. Innovation is a word heavily associated with everything that AvaTrade does which is why they deserve a spot on this list. 5. 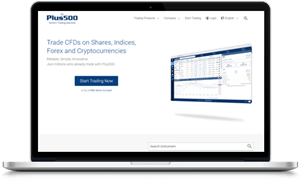 Plus500 – Simple Stock trading platform. 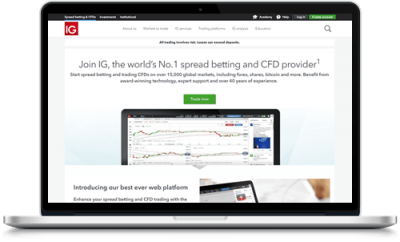 Plus500 offers CFD trading to hundreds of thousands of clients from all over the world. The selection of assets is impressive and includes several of the most important stocks. Since 2015, Plus500 has been publicly traded on the London Stock Exchange which is quite unique among these brokers. A share dealing accounts let you buy the actual stock, or share, instead of speculating on the price. It is a type of investment form where you buy a stock and profit from a said share by either selling the asset or receiving a dividend. Share dealing is considered the more traditional way of buying stocks. You are unable to trade with leverage when you open a share dealing account. When it comes to share dealing accounts no one does it better than IG in our opinion, they are your one-stop resource for all share dealing matters. Here is a list of several other UK stock brokers. 24Option has lately worked hard on re-branding as a CFD broker. During their several year long history, they have been official sponsors to some of the world’s greatest athletes such as the MMA fighter Conor McGregor and more recently the Italian football team Juventus. eToro has established themselves as the number one copy trading and social trading broker in the world. Stocks is only one of many CFDs you can trade with them and we highly suggest you give them a test drive. In fact, the copy function is one of the more innovative services to have been developed on the market in recent years. IQ Option has been our favorite broker for many years. We really enjoy them for their honesty and customer-oriented products. Lately, they have expanded to include CFDs for stocks, commodities, forex, cryptocurrencies, and much more. That means that you can use IQ Option to speculate on stocks using both CFDs but also to trade cryptocurrencies. One of the main concerns of anyone looking to invest in stocks is what service and broker to use. You see the problem is that most available services are either scams or not good enough to actually offer a stable product that can be used to trade stocks. Because of this, we recommend the best stockbrokers to use and offer guides for different assets and preferences right here on BullMarketz.com. In fact, this page is one of the most comprehensive stockbroker guides on the internet and it contains everything you need to know before you start investing. In order to qualify for our exclusive list of recommended brokers, a broker needs to meet a selection of strict criteria as well as maintain an overall good reputation. On this page, we explain these criteria in detail so that you can get a better understanding of what’s needed from a reliable stockbroker. We’ll also provide an extensive list of some of the best stockbrokers in the industry. To finish the list off, we’ll walk you through our selection process as well as guide you through the registration and explain what’s required to start using a broker. Understanding the selection process is especially useful if you’re planning to find your own broker without relying on our recommendations. If you’re already aware of what a stockbroker is and you are looking to find a service to use today, we suggest you get started with the list above. These brokers are 100% safe and regulated, and we can guarantee them with full confidence. What Is an Online Stockbroker? Let’s start with the basics and answer the question, what is a stockbroker? With the intention of making this guide as comprehensive as possible, we have decided to focus on two different kinds of brokers that are used for two different types of stock trading – regular stock trading and CFDs. That being said, both types of brokers are essentially the same in their core and the following explains both types. A stockbroker is a service that acts as the middleman connecting you to the world’s stock exchanges either by letting you buy the stocks directly from the stock market or by letting you speculate on the price and market movements. Traditionally, a stockbroker was a private individual or a company that you contacted over the phone or in person at an office. Today, most brokers are digital and operate online stockbroker websites. No matter how you want to trade stocks, you will have to use a broker to get access to the securities which is why it’s important that you’re aware of the differences between the two most popular ways of trading stocks. It will be impossible to continue if you don’t know where to buy the stocks you’re interested in. As you probably understand, it is extremely important that you only use safe and regulated stockbrokers when you trade equity. Anything else is foolish and risky and it might end with you losing all your money. Day Trade Shares (CFD) or Long-Term Invest in Stocks? Before we start covering the best stockbrokers online there is one factor you’ll have to consider. What time frames are you looking to invest in? You can either day trade stocks or invest in the stock market long-term. This decision will influence what broker and strategies you’ll use and is an important step when learning how to invest in shares. Day Trading – Most professional traders that live off stock trading do what’s referred to as day trading. It means they make several trades per day and focus on benefitting from small market movements. Day trading is considered to be more difficult than long-term stock investments since it requires a deeper understanding of the market and the aspects that affect it. As a day trader, you need to be able to know what stocks to buy today, several times a day, every day. That being said, becoming a day trader is far from impossible and if you remain dedicated and are willing to learn you too can become a professional stock trader. Long-term Stock Investments – Most private stock traders invest in the share market with long-term goals, almost as a sort of savings plan. The idea behind this type of stock investment is to benefit from long-term price changes and companies that perform well over several years. Compared to day trading, it’s easier to learn how to buy stocks online this way. CFD is short for Contract for Difference and it’s a sales contract that you buy from an online stock broker. The contract states the price of an underlying asset and your job is to bet money on what direction the asset will move. CFD trading can be applied to most markets and is not limited to the stock market. There are several benefits to trading like this but the main advantage is that it is easier to conduct shorter trades and make quick money compared to regular stock trading. Also, CFDs usually have leverage which increases your profits. Because of these two benefits, many traders prefer to buy stocks this way than on the actual exchange. CFD trading works fine as long-term investments, but most people that trade CFDs do so as day traders. Many also combine this type of trading with regular stock investments in order to spice things up and make more profit from lucrative trends. Before you can start trading stocks as CFDs you need to find a reliable broker and figure out where to buy stocks. In fact, finding a good broker is one of the single most important steps you’ll take in preparation for your investments. The issue is that most brokers are not reliable and it is time-consuming to evaluate all of them. Thanks to our extensive knowledge of the market and our years of experience we know what’s required of a good broker. We have also spent a lot of time testing different brokers and to ensure that you get to save time and focus on the actual trading we decided to share our experience with you. Further down on this page you’ll find a list of the best stockbrokers online including a short summary of their services. We do provide in-depth guides to all of these brokers, and you can find them under the “Stockbrokers” tab in the top menu. When we talk about regular stock trading we are referring to the traditional way of buying stocks directly from the stock exchange. This type of stock trading is one of the oldest trading types in the world. Even though modern stock exchanges are only a few hundred years old, the act of buying and selling parts of companies dates back thousands of years. When you buy equity you actually buy a part of the company. Most times you’re even offered a minor influence in how that company is run through a voting system. The money you invest can be used by the company to run its business and helps to confirm the business worth in comparison to other businesses. However, you are allowed to sell your stocks whenever you’d like to, thus getting your money plus potential profit back from the company. This type of stock trading is immensely popular due to all the associated benefits. Firstly, there are good chances of making a profit if you apply the right strategies, however, unless you’re day trading it can be hard to make quick money. Because of this, many investors use stocks as long-term savings with high interest. You see, by placing your money right today you can make a lot of profit over the next coming years. There are three main factors that we focus on when we test brokers. The first is to make sure that the broker is licensed and regulated so that they are forced to keep their customers safe. The second factor is to make sure the broker offers the stocks you are interested in buying, and the third is to ensure that the platform is useful and practical. License and regulation – Every stockbroker that we recommend on our website are regulated with all the necessary licenses to offer their trading services. By using an unregulated broker, you expose yourself to unnecessary risks. Assets – It would obviously be pointless to use a broker that doesn’t offer the assets that you want to invest in. Because of this, it’s good to have an idea of what stocks you want to trade before you start looking for a broker. Remember that most brokers focus on a certain area or a couple of exchanges and very few brokers offer access to all exchanges and stocks. Platform – To be considered one of the best brokers in the industry you need to offer an industry-leading platform with all the tools and features that traders look for. Some brokers develop their own platforms while others use well-known software like MetaTrader 4. This step is all about personal taste and it’s important that you feel comfortable with the broker you choose. Availability – If you are based in the United Kingdom and looking for the best trading app UK, then you will have a different selection then if you are based elsewhere. Different regulations apply to different countries. Some brokers are not available everywhere. Okay, now you know what a stockbroker is, and you’re also familiar with how they operate, the different aspects that set them apart, and more importantly how to separate the good brokers from the bad. The next step is figuring out how to set up a trading account and deciding on where to buy stocks. If you haven’t found a broker to use yet we recommend that you take another look at the recommendations above. They are all completely safe to use and perfectly suited for both beginners and more advanced traders. Setting up a trading account online is fairly easy and quite similar to starting a new bank account. The process is roughly the same for any service whether you’re using a CFD broker or setting up a brokerage account with a traditional stockbroker. The first step is to find the sign-up button on the review we’ve written about your chosen stockbroker. After you click that button you will be directed to the broker’s sign up page where you will be asked to submit personal information. At this point you will have to provide your name, address, phone number, email address, and in most cases decide on a username and password. That is all the information needed to start your account, but you can’t start trading just yet. Remember to only provide information that is accurate as you will have to verify it later on. However, most brokers allow you to start using a demo account at this point. 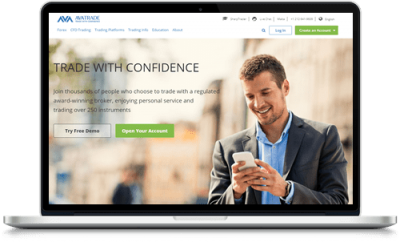 A stockbroker demo account can be useful if you’re a beginner that wants to practice trading stocks or if you want to test the trading platform. You will have to make a first-time deposit if you prefer to start trading stocks for real money. Every broker offers different deposit methods and you can use whichever one you prefer. E-wallets and card transfers tend to be the fastest options, while bank transfers and checks can take several days to be cleared. When your money has been deposited you can start trading stocks as you want. As a beginner, we recommend that you take a look at our other guides on how to trade stocks, strategies, and more before you start trading. Using a strategy is essential and not only recommended but crucial to your success. After a while, you will have most likely made some profit and will be ready to withdraw your money. All brokers require you to verify your account and your address before you can begin the withdrawal process. To verify your account you normally have to provide a copy of your ID, either a driver’s license or a passport. You will most likely also have to submit a utility bill to verify your address. If you used a credit or debit card to make your original deposit the broker will also ask that you provide copies of both sides of the card. You can send the information to the broker from your trading account. Generally speaking, you will only have to verify your account once, although the broker has the right to make you verify specific information again if they see fit. Note that it can take a few days up to several weeks to get an account confirmed, especially if the broker requires additional information for some reason. Because of this, we urge you to verify your account as soon as you set it up. By doing so you will avoid any delays when it’s time to make your first withdrawal. That’s all you need to know about how to set up a stock trading account online. If you need more information about deposit methods, required information, etc. check out our detailed reviews. Stockbrokers are services used to trade stocks on the exchange or in the form of speculative investments such as CFDs. Finding the best online stock broker to use is an important process that all traders have to go through and it has to be taken seriously since the broker will handle your money, personal information, and investments. If you end up with a broker you don’t like it will be miserable to trade, and on top of that, a bad broker could potentially steal your money. Share dealing accounts are typically used when you want to buy shares rather than speculate on the price. You need to practice extreme caution when choosing what broker to use. There are several very strict requirements, which we have outlined above, that all brokers should live up to. We suggest you stick to our broker recommendations since it can be awfully time-consuming to evaluate all of the best stock trading sites. We have spent many hours evaluating, testing, speaking to, and using all of the brokers that we recommend and we are certain that they are the best and safest in the world. That’s all you need to know about how to find a stockbroker. Now it’s time for you to sign up and actually start trading! Do you want to start trading stocks but are not sure where to start? Then let us help you out. We have years of experience from the trading world and would like to share our knowledge about stock trading with you.